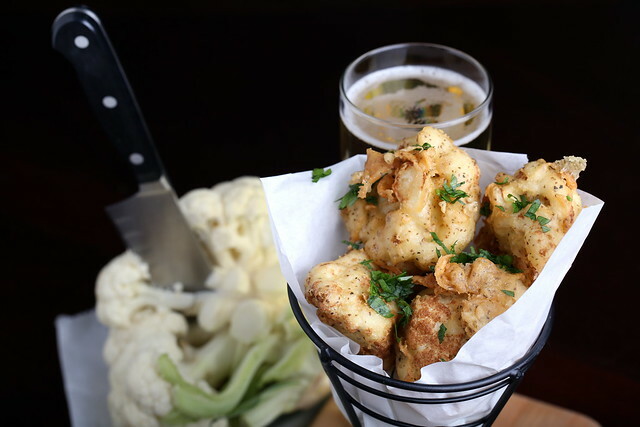 As I was eating roasted cauliflower while sipping a beer the other night, I thought: why not combine these two delicious things, and deep fry it? It turned out to be a good thought—these gorgeously golden, celery-seed flecked florets were rich without being heavy and perfectly complemented by a light and sweet rice vinegar sauce served on the side. Whisk all of the batter ingredients together until smooth. Set aside. To make the sauce, place the water and rice vinegar in a small saucepan. Bring to a boil, then add in the sugar and salt. Stir until dissolved, then remove from the heat. Sprinkle some celery seed over the top and allow to cool. Whisk the Ener-G and water together in a small bowl. Set aside. Place several inches of oil into a medium saucepan. Place over medium-high heat. After about 7 minutes, throw a pinch of the batter into the oil. If it bubbles up immediately, you are ready to fry. Working in batches of 3 florets at a time, toss in the Ener-G/water mixture, then coat in the batter, letting any excess drip back off into the bowl. Using tongs or chopsticks, place into the hot oil, holding it for a few seconds in the oil before releasing it. (Otherwise, the battered cauliflower will stick to the bottom of the pan.) Allow the cauliflower to fry for a few minutes, until golden brown. Remove from the oil and place on paper towels to drain, sprinkling with salt immediately. 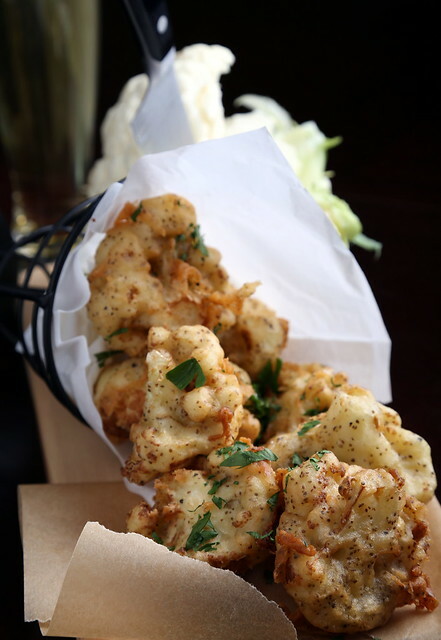 Sprinkle the fried cauliflower with fresh parsley and serve immediately with the sauce. you're the deep frying queen! these look so crisp and light. i love it!! I like the way you think! This looks amazing! thanks Cadry! Isn't beer inspiring? WOW. Just…wow. Cauliflower is my favorite veggie, and these just look unreal. I think I could eat the whole batch! you mentioned roasted cauliflower; did you cook this cauliflower before frying it up? totally making this. 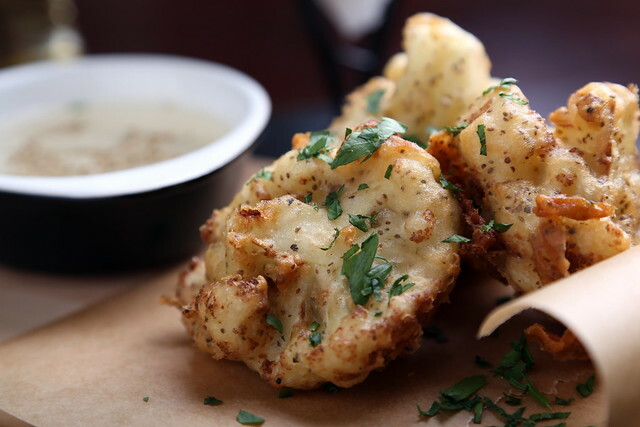 nope, no need to cook the cauliflower before frying — I hope you enjoy! Oh now this cauliflower looks amazing!! I was literally thinking of exactly what I wanted to do with cauliflower tonight when I came across this post; what an amazing idea! Definitely giving this a go!